The Mazda MX-5 Miata is and always has been a pure manifestation of driving pleasure in convertible form. Yet, there have always been those clamoring for a fixed-roof coupe. Some claim the new Miata RF is a happy middle ground, but perhaps you’ll consider just pretending it is not? You may think it’d be ridiculous to purchase what is essentially a folding hard-top convertible with direct intentions of never actually putting the roof down. I’d say it’s ridiculous to take the weight and price penalty of buying the folding hardtop over the normal Miata, thinking you will drive it as a convertible. It’s ridiculous because the “fastback” design of this new Miata RF looks so damn good, you’d be compromising performance for yourself while compromising the beauty and grace of the RF’s design for everybody else. If people ask, “hey, why don’t we put the roof down?” just lie and say it’s broken. Or tell the truth, which is that The Miata RF is better as a fixed roof coupe, of beauty and grace. Keep the roof up. Pretend it’s a coupe. If you want a convertible, buy the one that is a real convertible. The RF is the coupe. It just is. It. Just. Is. Or do what you want with it. But keeping the roof up is what you should want. 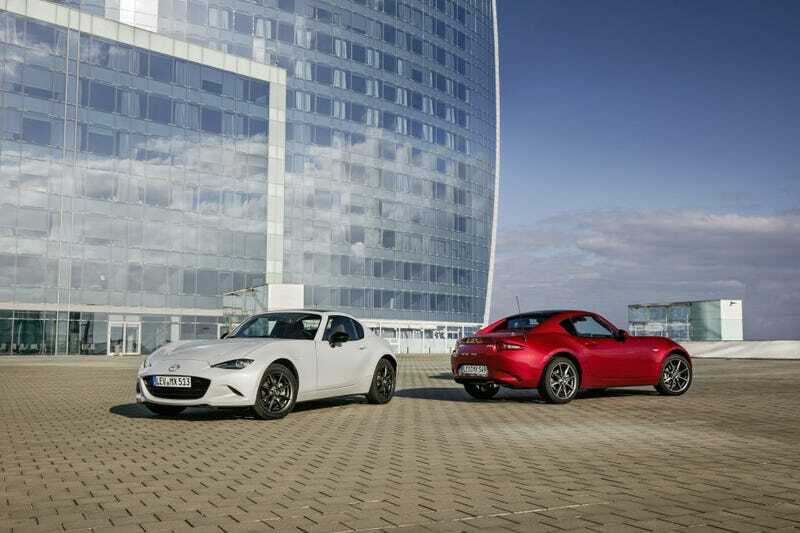 Mazda sold a Miata coupe - we just didn&apos;t know about it.